What are the most popular tattoo designs? We’re pretty sure there isn’t any data that actually tracks this information. However, based on our observations and consensus in the industry, below are ten of the most common tattoo designs that people request when they go under the needle. Tribal Tattoos – Tribal tattoos are an appeal to the old world order of man vs. jungle. While most tattoos are just a basic black, many incorporate intricate designs that are very visually pleasing. Butterfly Tattoos– Ladies seem to love the butterflies. You can usually find these colorful critters on shoulder blades, hips (front and back), ankles or at the center of a lower back tattoo. Butterflies are graceful and pretty insects; what girl wouldn’t want to connect to these traits (minus the insect part). Cross Tattoos – Many Christians demonstrate the power of their faith by getting the cross etched permanently in their skin. 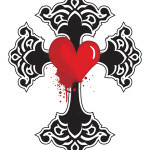 Popular cross tattoo designs include Celtic crosses, the Maltese cross and the Iron cross. Angel and Wings Tattoos – Recently, wings have been sprouting from many shoulder blades. Not real wings, of course, but tattooed wings. Some of the best examples are intricately etched and scale the subject’s entire back. Angels are also very common skin accessories for those who desire a religious connection. Flower Tattoos – Another favorite of the ladies, flower tattoos are popping up on almost any area of the female body from shoulder blades, to wrists, hips, chest, ankles and calves. Flower tattoos provide beauty and color that will never wilt. Mythological Tattoos – Mythological creatures like unicorns, dragons, fairies, phoenixes, and minotaurs all carry special meanings and a long, symbolic history that individuals seek to capture and repurpose for their own life’s journey. Kanji Tattoos – Tattoos of Chinese characters have a lot of appeal. They are able to convey a profound message in a stylistic way that is much more attractive than tattooing a long phrase on the body. Also, unless you run into someone who is fluent in the language, the true meaning of the tattoo is known only to the wearer and the ones he or she shares it with. Celtic Tattoos – Celtic knots and other Celtic designs are visually pleasing, add a note of historical relevance and can denote Irish ancestry. Lion and Tiger Tattoos – Lions, Tigers, and…okay, not so much bears. Lion and Tiger tattoos show up a lot on men. These ferocious and deadly cats can represent power or just the wearer’s favorite sports team. Hearts – Love spurs many a tattoo, and hearts are the most popular tattoo choice for lovers. Hearts tattoos usually represent a person (whether a romantic partner or a family member), a special event or anniversary or a departed loved one. Next time you get a chance to people watch, look around and see how many of these popular tattoos you can find. 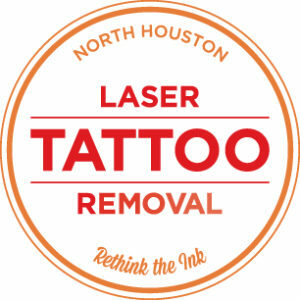 We certainly see a lot in our laser tattoo removal clinic!